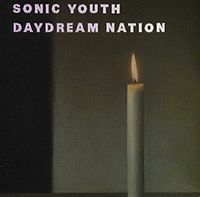 Daydream Nation is the fifth studio album by the American alternative rock band Sonic Youth. It was released in October 1988 by Enigma Records in the United States, and by Blast First in the United Kingdom. Widely considered to be the band's magnum opus and a seminal influence to the alternative rock genre, it is one of the few rock albums chosen by the Library of Congress to be preserved in the National Recording Registry.